Right? This trunk came to me for Free dollars and Free cents! That's my favorite price point. Of course, it was painted maroon and falling apart, but I knew I could work with it. 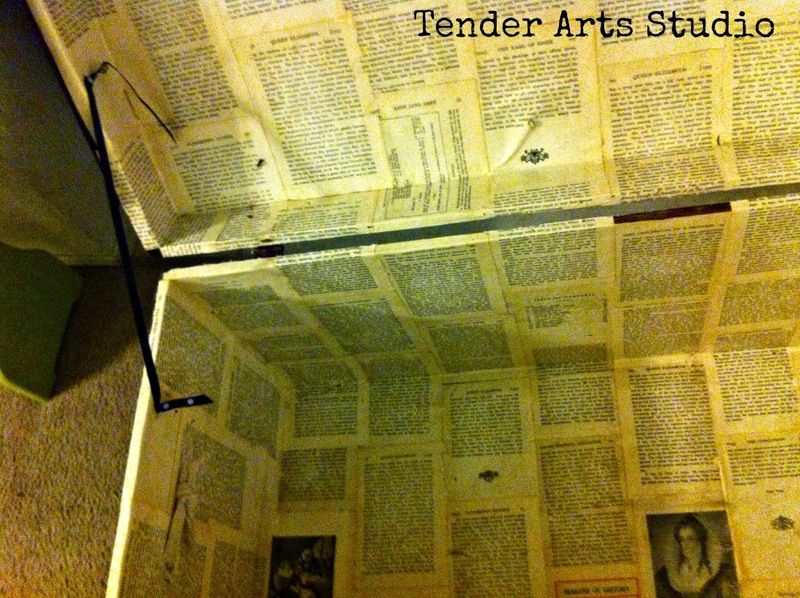 When I had my booth at the vintage store, one of the other vendors gave it to me. 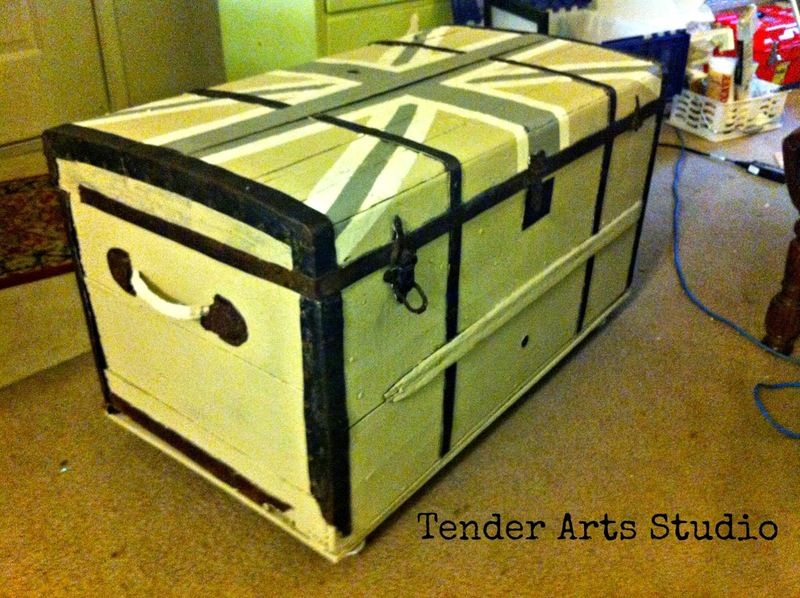 The first thing I did was get my hands on a piece of plywood cut to the size of the bottom and bolted it onto the underside of the trunk and then added casters to it (you can slightly see them in the first photo). 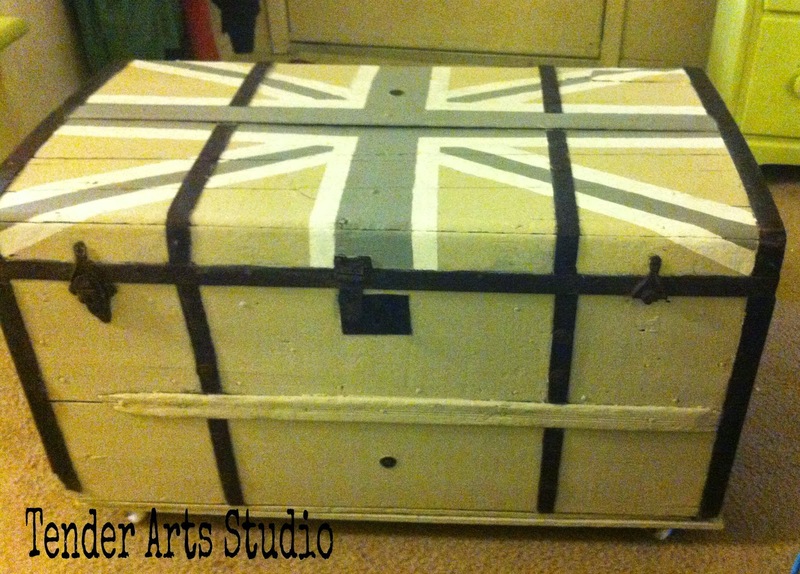 Then I painted the entire outside and added the Union Jack to the top- the trunk is painted with an "oops" can of greige that I love and the Union Jack is cream and gray. 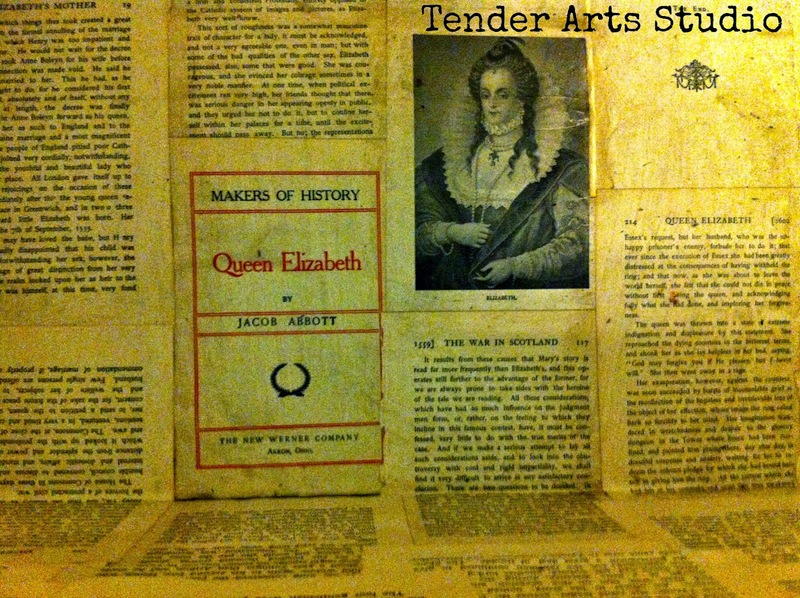 On the inside I used Mod Podge and the pages of an old book about Queen Elizabeth. The perfect choice! The last thing I did was to take some strips of drop cloth salvage that I had left over from my couch slipcovers. 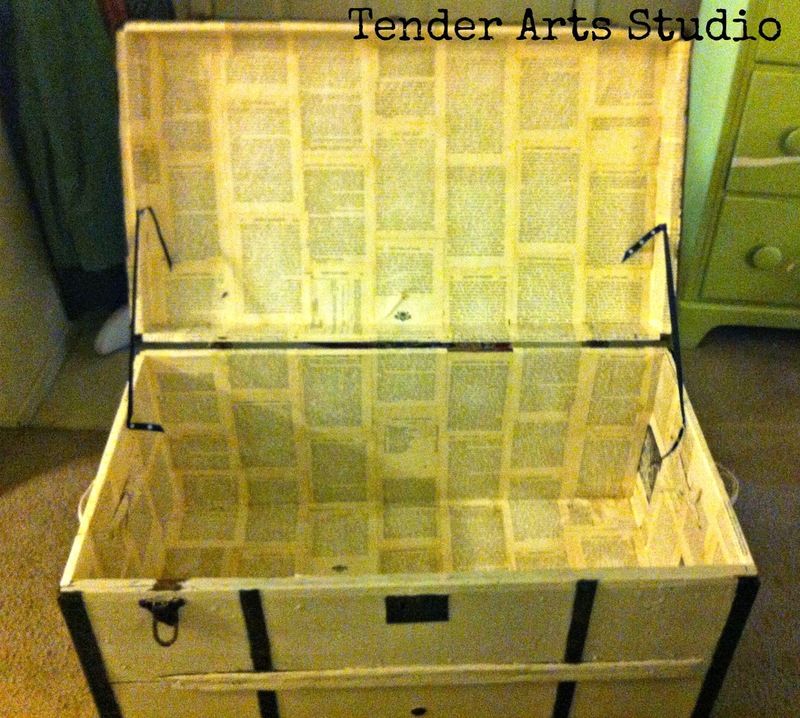 The original leather handles had rotted away, so I drilled holes in the side of the trunk and inserted the drop cloth strips and just tied them in a knot to secure. I am happy to report that this piece sold for a nice bit of $$$! It was my last big project for my booth and it was nice to go out on a high note! Of course, I do not regret my decision to give my weekends over to grandparenthood ONE BIT!